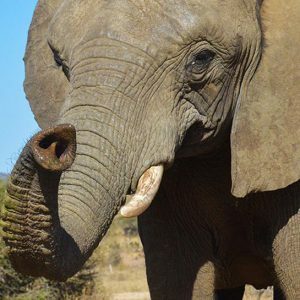 Limpopo is a female elephant, and was the first baby to be born to the Camp Jabulani herd on 19 August 2006. Her parents are Tokwe and and a wild bull from the reserve. Soon after arriving from Zimbabwe, Tokwe eloped one night, joined the wild herd and came back the following morning. Limpopo was born 22 months later… She was named after the Limpopo River, which separates South Africa and Zimbabwe. When Limpopo arrived, the Jabulani herd had yet to experience true family dynamics, and it was she that taught these trained animals about maternal instinct. She loves to be loved, and is a gentle, proud and affectionate animal. She is also the most intelligent elephant in the herd, and absolutely thrives on attention. Many have called her a Diva! She became very accustomed to a lot of attention as the only baby in the herd, and gets jealous quite easily – especially when food is involved! 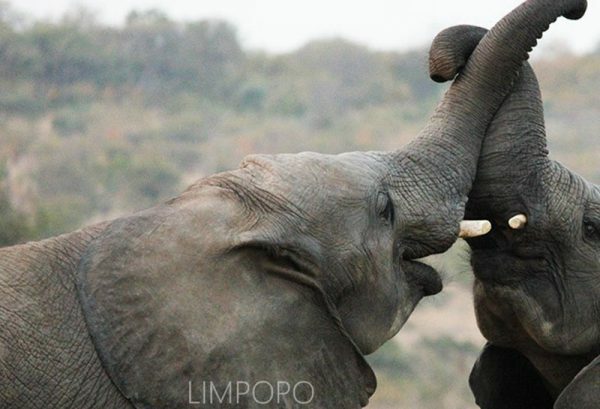 Limpopo is very tolerant when it comes to her younger sister, Pisa – despite the youngster always poking her. At night she stays alone in her own stable while her mother prefers to stay outside. 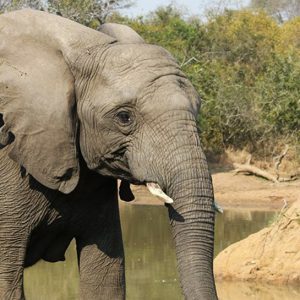 Limpopo is 1.7m tall with rather unique tusks – they point outwards and are slightly longer when compared to the other baby elephants. She has a medium-sized body and very few hairs on the tip of her tail. She also has long and very thick eyelashes. 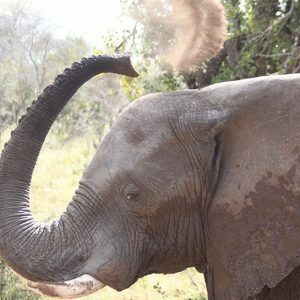 Limpopo is very good friends with Klaserie, who is just 6 months younger than her. 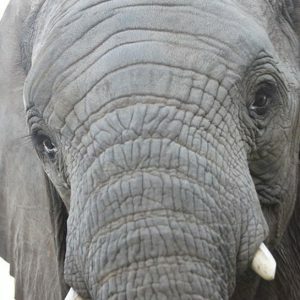 As the smartest young elephant, in generations to come she will most likely take over her mother’s position as matriarch of the Camp Jabulani herd. Each of the grooms is looking really forward to watching Limpopo grow and develop.